Alaska Wild Gear is a clothing brand based out of Soldotna, Alaska they design and print their own clothes. They also sell other brands inside their clothing store and print clothing for other businesses. Alaska Wild Gear is a clothing company specifically designed for Alaska’s unique attributes. Alaska Wild Gear needed a website that was designed to match their beautiful clothing. They partnered with Artistic Puppy to capture the essence of their clothing through photography and they needed a website that would display those photos and product in style. Alaska Wild Gear adds 40-60 new items every year and they wanted a robust website that still had the speed to deliver their products to their customers quickly. 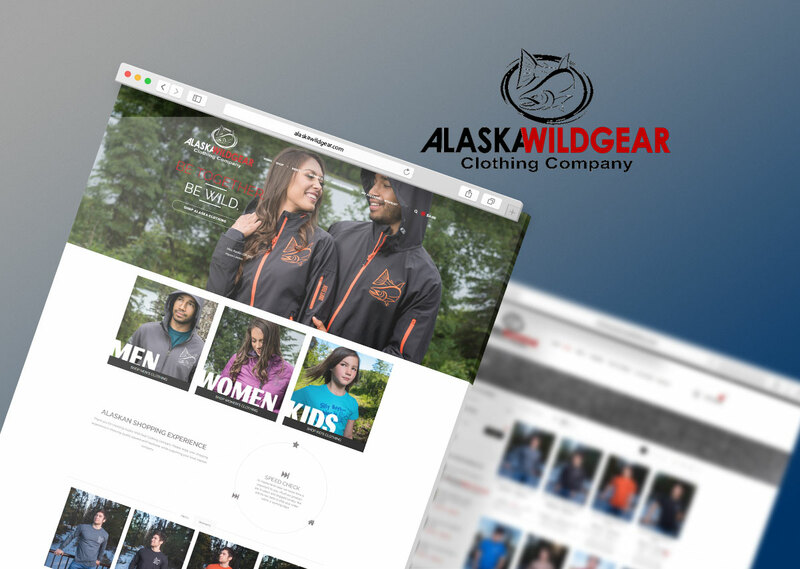 We provided Alaska Wild Gear with a custom website design that allows them to showcase their products through a fully functional e-commerce system. Built on WordPress it allows the website to be scaled to any size Alaska Wild Gear may need in the future. With the load speeds being a priority for Alaska Wild Gear we optimized photo resolutions to maintain a crisp and clear image on any size of the screen without hindering load speeds. Alaska Wild Gear has the ability to add their own products, change the stock, remove items and change any of their items. Though at this time they keep us on retainer to keep their items, website and everything else up to date. Alaska Wild Gear website is a beautiful showcase of their products and photos. Their website redesign has increased their revenue by 72% year over year. The custom responsive design of their website has proven to be an overall success for driving traffic that converts to their website and we couldn’t be happier to continue our relationship with them. The clothing industry is a competitive one and with that comes the need for search engine optimization. We were able to create a search engine optimization strategy that fit their needs and are currently top 3 in their chosen keywords.